Glasgow 2014 will be the first Commonwealth Games where organisers will drug-test a significant number of competitors before the event, the BBC has learned. 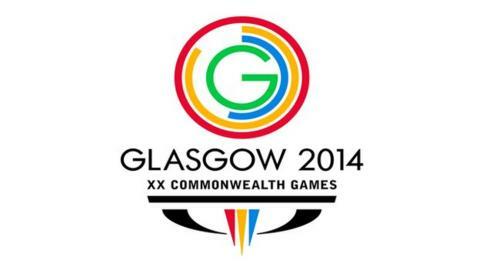 The Commonwealth Games Federation (CGF) has historically conducted its testing during and after the competition. However, with a recent shift to more "intelligent testing", it has decided to change its approach. This will result in a fall in the amount of testing during the Games. But it is understood the money being spent on anti-doping is similar to the corresponding figure during the last Games, in Delhi in 2010. Six athletes failed tests during those Games, and four were sent home. A CGF spokesman told BBC Sport: "The CGF has always been committed to ensure that a robust anti-doping programme is put in place during the Games as per our mandate as the responsible anti-doping authority for the Games period, which is defined as the date the Games village opens to the date of the closing ceremony. "At past Games, this has essentially meant an in-competition testing programme with a proportion of allocated tests being conducted pre- or post-competition, albeit within the Games period." The spokesman added there had been a "shift in thinking", as reflected in a revised World Anti-Doping Agency code, placing "more emphasis on a more 'intelligent testing' based on following athletes for a much longer period in the build-up to the Games". The new Wada code means event organisers such as the CGF have a wider mandate. It was due to come into effect in January 2015, but the CGF opted to introduce the code for this summer's Games in Glasgow, which open on July 23. The CGF says it has "sought and obtained the support of a number of International Federations and Commonwealth national anti-doping organisations" to do so. Its effect will be that many athletes who will participate at the Games will be tested in the build-up. Wada president Sir Craig Reedie told BBC Sport: "Nothing would be better than everyone leaving Glasgow having had a wonderful time, without a positive test. "I'm not naive enough to think that is an absolute certainty." Reedie said 35 athletes did not appear at the London Olympics because of the pre-competition tests done by an International Olympic Committee and UK anti-doping task force. He added: "We want these Games to be as clean as possible because we have to protect the clean athletes."